It has been a difficult summer for the City of London as the UK Government sets out its vision for the post-Brexit economy, not least because EU negotiators appear to disagree with many of the proposals. The UK Prime Minister’s recent breakthrough Chequers deal and subsequent White Paper had proposed a “frictionless” free trade zone for goods that left services in limbo. The EU's chief negotiator Michel Barnier said this week that Britain cannot have a customs union for goods without one for services. Barnier also rejected the idea put forward by Chancellor Philip Hammond in March of "equivalence", where UK and EU laws run in parallel with each other. Brussels is sticking to the position that regulation involves a rule maker, the European Union, and a rule taker, the UK. 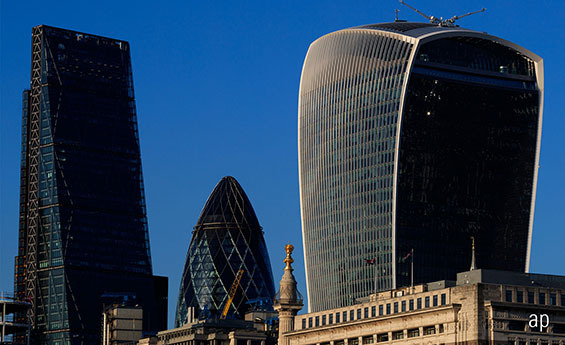 In addition, this week Wall Street banks, which have significant staff numbers in London, warned that a “no-deal” Brexit would undermine the pre-eminence of the City of London and boost the profile of rival New York. Labour leader, Jeremy Corbyn, a likely winner if a no-deal Brexit leads to the collapse of the Conservative Government, this week said that Labour would actively boost the manufacturing sector at the expense of the finance sector. The White Paper adds that any new arrangements “will not replicate the EU’s passporting regime”, dashing hopes that the City could retain some of current rights even after Brexit. Passporting is a key tenet of the EU-wide Markets in Financial Instruments Directive, whose second iteration has just been implemented by UK firms at great cost. The City regulator, the Financial Conduct Authority, is working on the assumption that MiFID II will remain in place after Brexit and during the transition period, as long as a deal between the UK and EU is struck before March 2019. However, the potential breathing space offered by a transition deal cannot be taken for granted, according to the European Banking Authority, which regulates banks across the EU. The EBA said at the end of June that complacency over the prospect of a no-deal Brexit is one of the biggest threats to UK firms. Its analysis concluded that the City’s preparation is “inadequate”, especially given that the transition period agreed by politicians “does not provide any legal certainty”. The EBA itself is currently headquartered in London but is relocating to Paris after Brexit. The FCA is planning to implement a “Temporary Permissions Regime” for the 8,000 European Economic Area firms passporting into the UK to continue during the transition period. But crucially, the EU has not offered UK firms passporting into the EEA a reciprocal deal yet and the FCA is still warning that "cliff-edge risks" remain. Brexit: What Impact Does Political Turmoil Have on Markets?